An incredible combination of urban vitality and natural wilderness, there is more to the Miami area than just the famous city. From historical towns to lush islands and beautiful beaches, there is so much to experience. When it comes to fishing, few places in Florida are able to offer as many diverse environments and varieties of fish as Miami. Whether you are after reef fish or saltwater specimens, there is sure to be something in this coastal gem to get any fisherman’s heart racing. Also aptly referred to as Three Island Paradise, this village is really a composite of three small islands: Harbor Island, North Bay Island, and Treasure Island. In days gone by, it played host to a slew of Old Hollywood royalty like Frank Sinatra and Judy Garland. Nowadays, it has settled into a quieter, more residential environment. North Bay Village’s proximity to the Intracoastal Waterway — a mere 2.5 miles away — makes it particularly attractive to serious fishermen who are looking to get away from the throngs of the more touristy areas and pursue a tantalizing array of gamefish. Its Pelican Harbor Marina provides direct access to the brackish waters of the waterway, as well as the opportunity to boat around the Haulover Inlet or Government Cut channels. After a full morning of fishing, you might consider stopping over on Pelican Island, a 10-acre natural preserve and bird sanctuary that features barbecue pits, picnic tables, sand volleyball, and wet slips for your watercraft. A resort city that also boasts a vibrant sport fishing culture, Miami Beach is a fascinating fusion of outdoorsy appeal and metropolitan glamor. 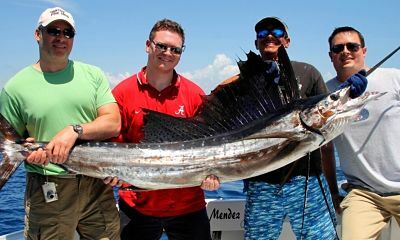 A 20-minute boat ride will take you right into the Gulf Stream for the ultimate deep-sea fishing experience, and night trips will increase your chances of reeling in some of the more elusive types of locally-found fish. 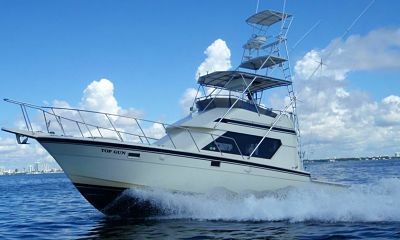 With 400 slips and hookups for fresh water, electricity, cable, and telephone, the Miami Beach Marina has deep waters that are perfect for fishing, and it is a great place to charter a craft or tie up your boat for a jaunt into town. Since there are no fixed bridges, it is easy to get in out of the marina. While ashore, be sure to check out the renowned Art Deco District to explore a plethora of shopping and nightlife hotspots. Situated in Biscayne Bay, the small island of Virginia Key is accessible by land via the Rickenbacker Causeway. This barrier island is primarily comprised of government institutions, a university, the Miami Seaquarium — the oldest oceanarium in the U.S. — the Miami Marine Stadium, and the Virginia Key Beach Park. The park is home to the largest mangrove wetland in the state, as well as a bathhouse, picnic pavilions, mountain biking park, concession stand, and an antique carousel. Kayak fishing is a very popular activity, and the park offers a full-service kayak fishing center to attend to all of your needs. This picturesque island is a wonderful place to take the family, and is sure to appeal to everyone. Often referred to by locals as simply “the Grove,” this historic Miami neighborhood hosts numerous events and festivals throughout the year such as the Coconut Grove Arts Festival, The Great Taste of the Grove Food & Wine Festival, the King Mango Strut, and the lively Goombay Festival, which is a celebration of Bahamian culture. After a long day of fishing, there are plenty of restaurants and open air cafes to satisfy any appetite, and many boutiques and shops, as well as two open-air malls. When night falls, the Grove is the go-to destination for the students and young professionals that occupy the two nearby universities. If you count culture and history among your interests in addition to fishing, then you will not want to pass up the chance to stop by the U.S. Sailing Center (which is one of 10 national U.S. Olympic training sites), the Patricia and Phillip Frost Museum of Science, or the palatial estate that is the Vizcaya Museum and Gardens — the sprawling historic landmark that was once the lavish winter residence of James Deering, a famous antiques collector and industrial tycoon. Connected to Miami by Rickenbacker Causeway, Key Biscayne is Florida’s southernmost barrier island. It has been the home of artists, athletes, movie stars, and was even President Nixon’s getaway during his presidency. 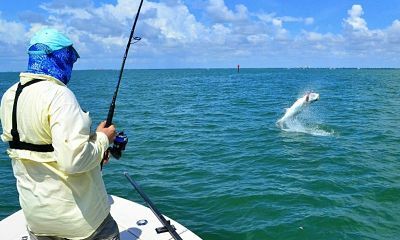 With Biscayne Bay on the island’s western side and the Atlantic on its eastern side, fishermen from all over the world are drawn to Key Biscayne for this particular combination of lagoon and ocean. While the town of Key Biscayne takes up the center portion of the island, most of it is comprised of two sprawling parks: Crandon Park at its northern tip and Bill Baggs Cape Florida State Park at its southernmost tip. Crandon Park is made up of 808 beautiful acres, and provides a beach, tennis facilities, nature center, and golf course. Crandon’s Family Amusement Center, a promenade, and concession stands offer fun for the whole family. The Bear Cut Preserve is an excellent spot for budding naturalists to explore, as the island is home to many types of birds, sea life, and rare plants. The Crandon Marina is across the street from miles of pristine, white sand beaches, and, in addition to being near fantastic fishing grounds, also features a diving operation. The Bill Baggs Cape Florida State Park has over 400 acres, with biking, kayaking, fishing, picnic pavilions, two restaurants, and even overnight camping. Be sure to see the historic lighthouse that was originally built in 1825 and rebuilt in 1847. It carries the distinction of being the oldest standing structure in Miami-Dade County, and guided tours of the lighthouse will astound you by recounting its rich history. 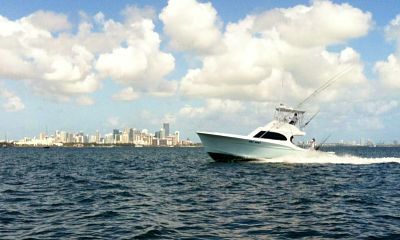 More than just a city, the colorful towns and islands of the Miami area make it a premier fishing destination. 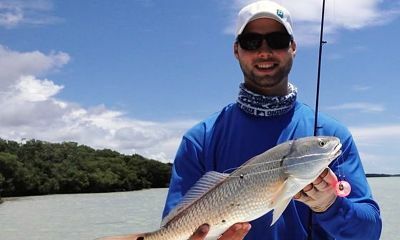 When it comes to staying in a temperate climate where there are opportunities to experience history, nightlife, culture, and outdoor fun, all while fishing in one of the most stunning regions of the world, few places come close to the offering the many varied locales and fish specimens that you can find in Miami.